Welcome to our annual fund drive! The Coalition for Responsible Home Education is funded entirely by small donors like you. We can’t do what we do without your help! We are a 501c(3) nonprofit organization, so your donations are fully tax deductible. 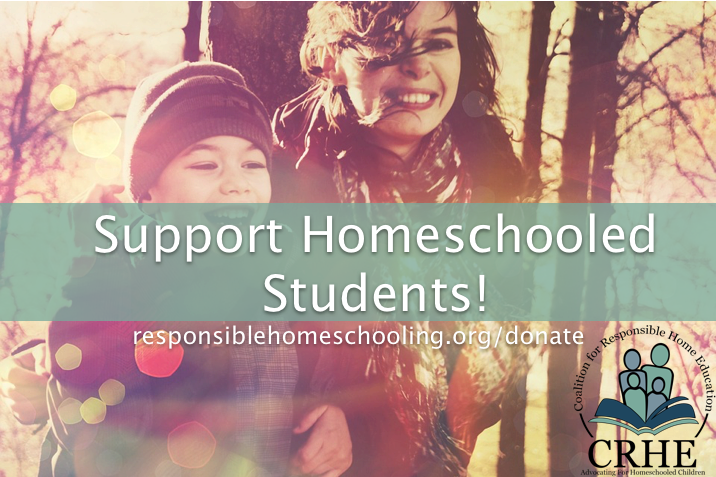 By donating to CRHE, you keep our doors open and help us support homeschooled children. This past year has been busy! More states introduced legislation to protect homeschooled children than we have seen in our history as an organization. The interest is there, and we are working to keep the momentum going. Take a look at our infographic progress report and our in-depth annual report to learn more about the progress we have seen this year.